New Dawn Diamonds and Cubic Zirconia – you must have heard of both of these terms, isn’t it? Yes, it’s quite natural because most of you feel that both of them are identical. If that is the case, then why we will come up with such a topic to discuss with you. Isn’t it? 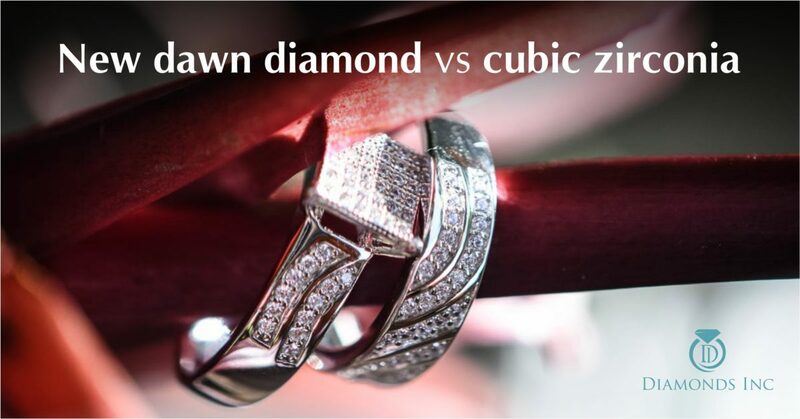 Now, without wasting much of your time, let us begin with the battle between new dawn diamonds and cubic zirconia and find out what makes them similar and what separates them completely. New Dawn diamonds are most popularly known as lab-created diamonds. These are the pure crystallized version of carbon atoms that are grown in the laboratory. Have you heard of CVD or HPHT methods? These are the abbreviation of Chemical Vapour Deposition process and High Pressure High Temperature process. Lab-made diamonds are grown under these procedures using the advanced form of technologies. Whereas, Cubic Zirconia is nothing but a cubic crystalline form of Zirconium Dioxide. They are also formed in the laboratory but instead of carbon particles, they use powdered ingredients. These are heated to a melting point and finally cooled to solidify. Lab-grown diamonds are also termed as synthetic diamonds. They hold the actual carbon atoms arranged in a diamond crystal structure. Due to its natural composition and method of formation, they exhibit the same physical, optical and chemical properties like the natural organic diamonds. Since these diamonds possess all the characteristics of a real diamond, they are graded in a similar way and same methods are used to detect these diamonds from a fake one. But, this is totally different in case of Cubic Zirconia. Cubic Zirconia is formed in such a way that it looks exactly the same as that of a real mined diamond. But they fail to possess any other optical, or chemical properties. Or in one word you may say, it imitates the diamond appearance. That is the reason why, they are basically named as Diamond simulants. Cubic Zirconia has a rating of about 8 on the Mohs hardness scale, whereas diamond rating is about 10 on that same scale. Thus, the crystals of Cubic Zirconia have dull and round off edges, while the edges of a diamond remain sharp. Furthermore, the polish marks are visible in case of CZ but you will rarely find any on a true diamond. We all know, a diamond is well-known for its hardness. But you will be surprised to know that, the density of Cubic Zirconia is approximately 1.7 times of that of a diamond. Now, the question that arises – how to detect the true one between the fake stone and the lab-made diamond? This can be solved if you drop the stones in heavy liquids. You will find that the diamond is sinking more slowly than Cubic Zirconia. Refractive index of CZ ranges from 2.15-2.18. Whereas that of a diamond is about 2.42. Now if you try to identify them using immersion techniques, you will find that the stones having the refractive index higher than the liquid is having dark borders around the girdle and light facet edges, whereas, the one with the lower index is having a light border around the girdle and dark facet edges. 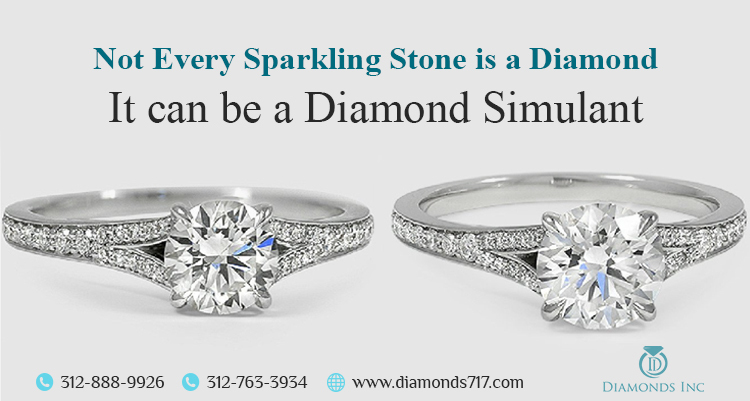 In comparison to diamond, Cubic Zirconia has a dispersion of about 0.058-0.066 range. But diamond, on the other hand, is about 0.044. If compared with true diamonds, the edges of Cubic Zirconia can be either rounded or smooth, but as you know the edges of a diamond are always sharp. According to GIA grading scale, the diamonds that belong to D, E, and F category are colorless. But the one that falls into G, H, I, and J category are near colorless. Lab-made diamonds usually have fancy color ranges, but nowadays these can also be obtained in colorless ranges. Now coming to Cubic Zirconia, these particular diamond simulants are often colorless, thus engraving its name in the D category of the grading scale. And if by chance, you get to explore its near colorless ranges you may discover yellow, pink, purple, green and even multicolored stones. A diamond is not only known for its hardness but also well-known for its thermal conductivity. But Cubic Zirconia is not considered as a very good thermal insulator like a diamond. You can easily check this out if you try out the Wenckus’ identification method. Therefore, now it is clear to you that except for the source of origin and their physical appearance, the New Dawn diamonds differ far away from Cubic Zirconia. So, what are your plans for purchasing your engagement ring? Well, in this case, we will suggest, if you are likely to spend on diamonds, then you should opt for the lab-grown diamonds. But if you feel you can’t afford that much you can simply rely on the simulants. 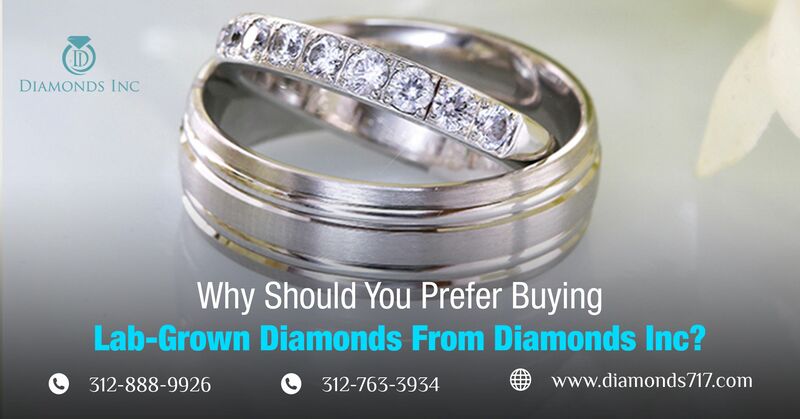 However, if you are purchasing true lab-created diamonds, then Diamond district will be the best place to buy your engagement ring in Chicago. Have you been there? If not, then this is the time to explore the ocean of diamond collection and buy one of your choices. 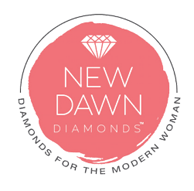 Hey, have you heard about New Dawn diamonds, the latest creation of the gemologists? If yes, then definitely you are aware of the identical features of these diamonds with respect to the mined diamonds. Though these lab-grown New dawn diamonds are 100% identical to the natural diamonds in both physical and chemical characteristics, still most of you can’t make out whether purchasing these new dawn diamonds will be right or not. There is a misconception of every buyer. You consider that man-made or lab-created things cannot be real and or trusted. 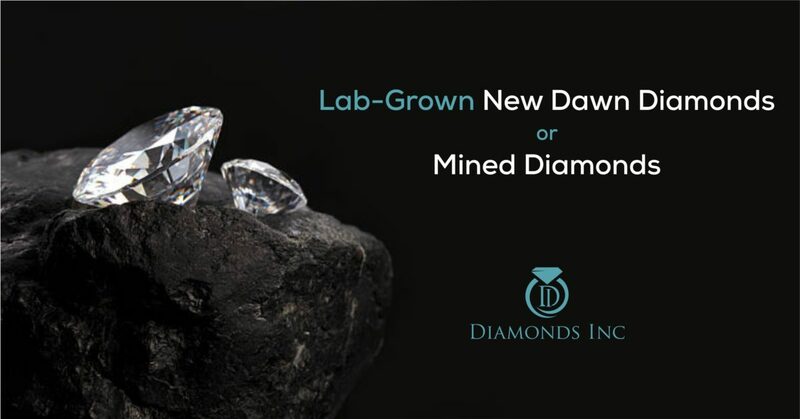 Hearing the name, and focusing on the tagline ‘lab-grown’ you have decided that since these diamonds are man-made, they are duplicate diamonds. They are made only to cheat the buyers. To clear out all your confusion and to solve your query, we have come out with this blog, where we are going to discuss why you should not ignore lab-grown diamonds, why you can trust them just like the mined diamonds, and why you can buy your diamond ring based on new dawn diamonds. So let’s start. ‘New dawn diamonds are definitely duplicate diamonds’- If you are thinking so you are completely on the wrong track. Since these diamonds are lab-created, it doesn’t mean that they are duplicate. Unlike duplicate diamonds like moissanite, cubic zirconia, new dawn diamonds possess all the features of a mined diamond. They are graded as same as the mined diamonds, possess the same four characteristics of real diamonds and thus can be detected using the same detection processes of mined diamonds. And the only difference lies in their origin. But why the gemologists have taken a risk to bring out such a wide invention? Let us get into details. Why shouldn’t you ignore lab-created diamonds? You all know, that the Natural diamonds or the mined diamonds are formed under the earth’s mantle. And a large amount of earth is disturbed to mine out the dazzling stone. This hampers the mother nature. Moreover, the diamonds that are mined today, have taken billions of years to form under the earth. Thus these diamonds when mined out once, becomes rare in nature. This is another reason why you find real diamonds are so expensive. To help you out, and save the mother earth, the gemologists have brought out the lab-grown New Dawn diamonds. Their motive is to make it easier for every buyer who wants to purchase a diamond, but can’t afford it and end up with purchasing duplicate diamonds. So, just to make sure that these diamonds are adopting all the physical and chemical properties of mined diamond, they use HPHT or CVD method to grow such diamonds. Want to know more about these processes? 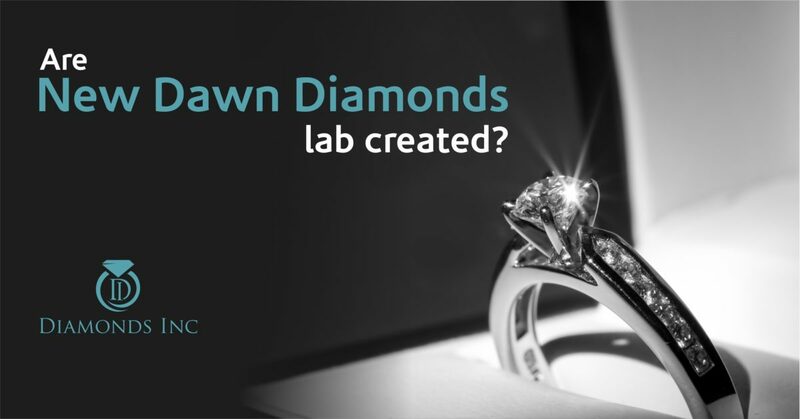 Check out the blog, how lab-created new dawn diamonds are made in the laboratory. Hope now this is clear to you that their intention is not to cheat the buyers but to help them. Therefore, we hardly recommend you to go for these, instead of ignoring these. 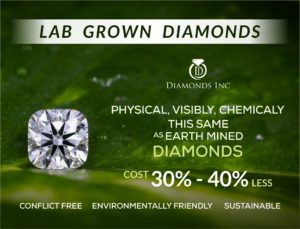 Have you ever thought that while purchasing diamond you can contribute to saving your mother nature? These lab-created diamonds give you the platform to all the busy individuals like you. You don’t have to time to plant trees. You don’t have time to resist deforestation. You don’t have time to join a campaign and inform others for afforestation. But you have time to buy diamonds for your love. Is this true? Don’t be shy. This is the nature of all common people. They rarely have time for their mother nature, but they can make time in purchasing diamonds. Thereafter, the invention of new dawn diamonds have paved the way for the individuals to be a part of go-green campaign not directly, but indirectly. Once you are making your mind to buy lab-created new dawn diamonds, the inclination towards purchasing mined diamonds reduces. And as a result, the need for mining is not required and thus nature is saved from getting disturbed. 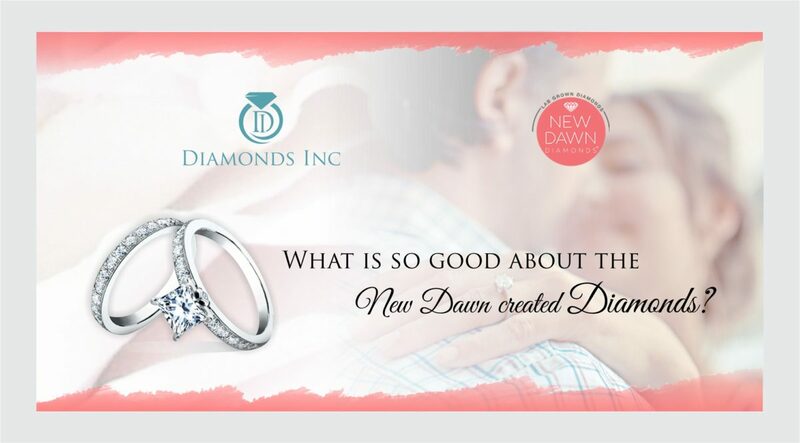 You will be shocked to know, that today most of the people are trusting new dawn diamonds. 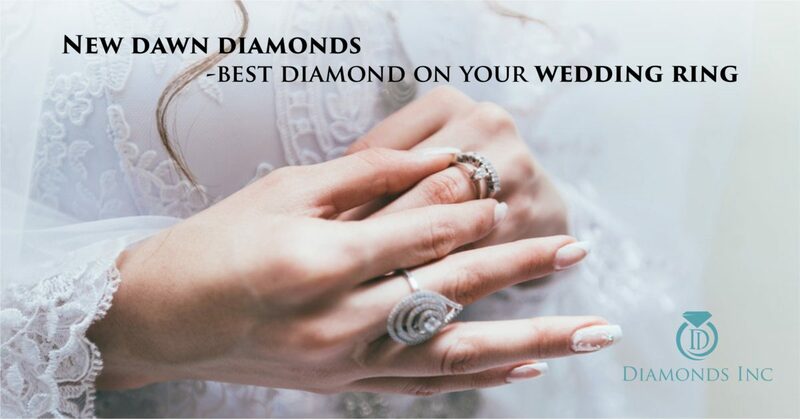 So we also recommend you, if you are looking for engagement or wedding rings, then go for those which are studded with lab-grown new dawn diamonds. 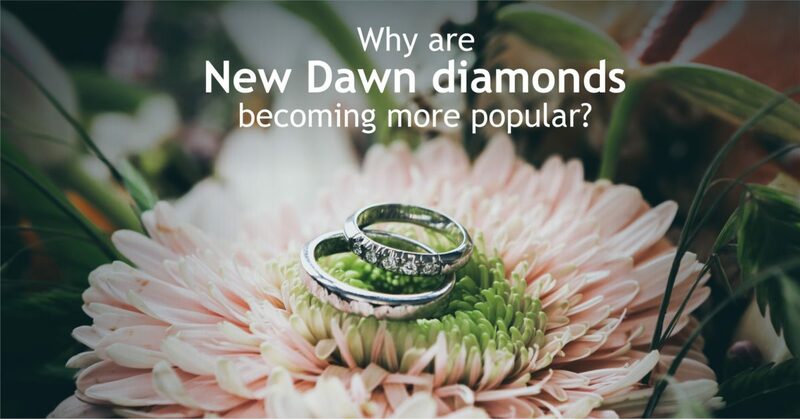 To know the reasons you may check out our blog where we have clearly mentioned the reason why people are liking new dawn diamonds. We are absolutely sure that if you look through the reasons, you will definitely be attracted to these diamonds. 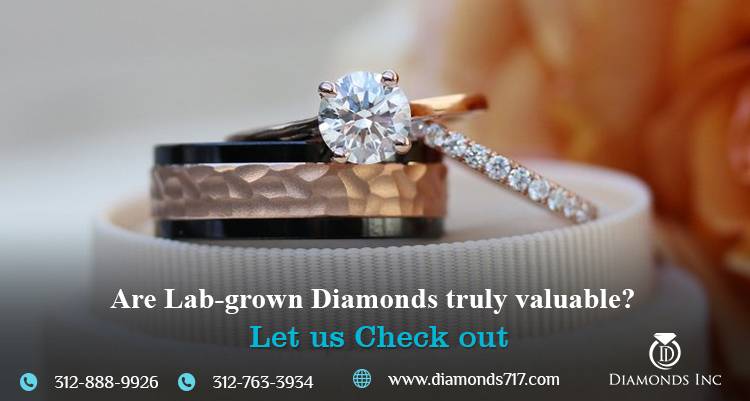 Not only this, you will love to design your custom-made diamond ring or other jewelries with these lab-grown diamonds.